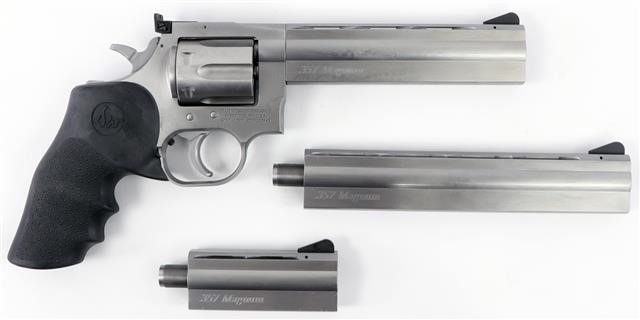 The 715 is as it was before – designed and built to be the most accurate, rugged and versatile revolver on the market. Shipped with a 6? barrel, the new shroud is designated the HV6, a heavy vent shroud profile that tames the .357’s recoil very well.